REDUCED. Own a piece of History with this two story Colonial. Per tax roll, built in 1910. Updated Doublepane Windows throughout. Original hardwood flooring. Updated kitchen with cabinets and granite countertops. Breakfast nook overlooks backyard. Two large living areas with one having built in book shelving. Nice size utility room with room to spare for a craft or hobby area. Wooden fenced in backyard. Storage building. Bedrooms upstairs. Some pocket doors remain. Large master bath with separate tub and shower. Half bath down. Add your own private and personal touches to make this your own unique piece of real estate. Seller will put new dishwasher and oven in prior to closing. Attached one car carport. 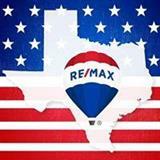 This is a one-stop real estate website for all your home buying and selling needs in Denison, TX.